Just right away after the Turkish National Chess Championship I flew to Moscow to participate in the Aeroflot Chess Open 2013 which had a different format this year. It wasn’t a classic event anymore, organizers turned it into the blitz and rapid chess festival! The prize fund of both events went to 150 000 USD which is rare for chess events nowadays The system of the rapid chess tournament was quite funny : first two days we had an open tournament from which top 32 players were qualifying for the further playoff. White was easily winning after : 46.Rd8+ Kh7 47.Ree8!! +- Finally instead of taking a deserved point, I drew that game. I have to admit my opponent was defending superb! Talking to my opponent after the game. GM Daniil Dubov has joined us for discussion. Of course, I got quite upset and in the 8th round committed a suicide in the opening! Just blundered an exchange to GM Ilya Smirin (2654). I played 19…Qf5?? and got in trouble after 20.Bg4 +-. Critical moment. White missed 51.Raa7! Rxg4 52.h6! with practical chances to win. GM Smirin played wrongly with 51.Rd8+ instead. And after that I started playing for the win feeling that I have no risk. And it worked out : after 55…Bf3! followed by 56…e4 my opponent didn’t put enough resistance and allowed me to enter +4 before the last round! Miracle has happened! I was completely winning against GM Zviagintsev in the 7th round and didn’t win while in the 8th round I had to lose but I won! As expected, in the last round we signed a quick draw with GM Eduardo Iturrizaga which let us to qualify for playoff. 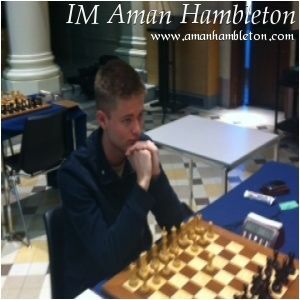 The following day after the qualifying rapid tournament, we had a blitz open competition. Swiss system, 9 double rounds so 18 games in total. Many strong players joined competition : Karjakin,Grischuk,Andreikin,Svidler,etc. I started the tournament by making 1-1 against 2220 and 2170 rated players! In the 5th round I went on showing «great perfomance» by making draw against some 2300 player. So I had 2,5/5 against weak players with terrible Bucholz which wouldn’t have let me to be in top in sharing. In the last round I got paired with the top Chinese player Wang Hao (2724) and had to win at least 1,5-0,5 to take some prize! I was so much disappointed and was evaluating my chances like 10 to 90. But it turned out in different way though! First game was going equal but then my opponent heavily blundered in the endgame. The second game where I had White pieces was one-sided. The Chinese GM mixed lines in the KID and got in trouble from which he couldn’t get out. I won 2-0 and went on sharing 9th-11th places with Fressinet and Nyzhnyk. As I had started the tournament very down,of course,I got the worse Bucholz but,anyways, even the 11th place would have looked to me like a miracle after the 5th round! So, conclusion of this article is that : never give up, guys! Always fight even if the fate turns back to you. After you put efforts, it will shine to you again! Before playing the playoff against GM Pavel Smirnov, I went to Ostankino TV center ( where all TV programs and news are taken for Russia and abroad) for giving a simul exhibition. I enjoyed the simul and the further excursion through Ostankino very much! Thanks to Nazim Mirzoev, Valery Zolotukhin and Maxim Yadrov for that possibility given! After Moscow I flew to Reykjavik. And this will be story for my next article. Stay tuned! Запись опубликована в рубрике Chess, Russia с метками Chess, Fighting spirit, Moscow, Russia. Добавьте в закладки постоянную ссылку.